I like to incorporate classic styles and phrasing into a modern frame when I write poetry, and try to cover a wide range of genres, but I enjoy the darkly sensual the most, despite its limited audience. I hope you'll give my rather unusual style a chance, read a piece-or-two, and leave a comment, if you'd be so kind. I also hope you'll visit my music web site as well, (at the following address under my moniker "Bahku") - mostly (very) old recordings there, but also a snippet of the first single coming, and more new stuff soon! Thanks for stopping by my page - blessings! Lolz! SOS will liven up any blog convo, for sure! ...Ah, tis better to have loved and lost.....than to have sat at home writing poetry.......Being a lifetime Boston resident and sports fan I remember the 1950's Red Sox, the original Boston Patriots, and the original SIX....6...NHL TEAMS...but i digress. John and Bard, do you actually have a pair of red socks and, if so, do you actually wear them during the games? Greg, what you feel is legit (not that you need my approval) but unfortunately you are among the few credible poets who can truly "judge" what is artistic writing and separate that fine line between good, better and best. Friends and feelings be damned as I gladly retreat to your post "Struggle cultivates strength" and that means that you don't always win, but more so, that in your losses you become stronger. If you think I take my choices any more lightly than you, you are mistaken, but that being said...I make them and I will never host a contest unless I'm prepared to do so nor will I apologize nor feel the need to except for my shortcomings. It is subjective - live with it & not life or. (2) But there were so many wonderful pieces this time that I felt should have been placed, and it felt wrong not to do so. I can't take back what's said, but I will most assuredly be giving it all some very deep consideration, for it may simply be a self-confidence issue. Thanks so much for your honesty and input, my friend. I hear you, Craig, and please know that I very much take it to heart, as I respect and value your opinion and your knowledge with respect to poetry ... I still have so much to learn when it comes to writing, and maybe that's part of my hesitancy towards being hard-edged and critical, I don't really know. I imagine, after more growth and reflection on this particular instance, that I may feel differently. Greg, thanks for your contests and your nice comments about judging the last one. I agree that premiere contests are very difficult to judge, especially when there are so many qualified poems. I did submit a poem to your contest that I wrote years ago, when I first started writing poetry. It was written all from emotions and overcoming a huge experience in my life. I didn't expect to place in your contest because I wrote it when I knew nothing about poetry form, etc. I never wanted to edit though because it is still a very powerful poem for me in it's raw state. Thanks for sponsoring such a great contest! Looking forward to your next one! Craig, that is so true!! Funny that you say that about an old writes Tania because as we learn and grow we see how to improve our skills and there are some/many writes that deserve to be improved, yet there are some with way too much emotion attached and must be left as they've always been - screw perfection, there is beauty in their innocence. (2) I may run this same contest again so I can place them all as I feel they SHOULD be. Please, be VERY proud of that poem - it is wonderful and powerful! I tracked your poem down, Tania, (Black and Blue), and it honestly was one of those right on the cusp - one of the wonderful pieces that was excruciating to not place ... I loved it, and I can tell it was very difficult and emotional to share, and something that others should see, (and a very important topic). The EXACT reason why I feel strongly about not going this route again. At first, I did not like the idea of the premiere contests, especially since poetry is so subjective. Strict placements are more apt for objective pursuits. However, despite this, I actually like hosting Premiere contests. But The Premiere Only Group (POGs) are still in error if they maintain absolutely that Premiere contest are always superior to Standard contests. I agree with instances in which there are 35 first place winners, however, forcing a limit of 10 can be just as bad. Could have 11 excellent poems, but number 11 is never seen. This is just as bad, if not worse, than camouflaging number 11 among 34 other poems. about the all first place contests, I agree with you totally, Rob. Though I personally would not do them that way, it is each judge's option to choose that way if he wants. I too think that Soup has struck a good balance with the two types of contests, but of course, the debate on that will never let up! Andrea, yes, I don't like the all 1st place contests either, but support the sponsor's right to do so. I think TPS has a good balance with offering Premieres for the POGs while still letting the Participation Trophy Group (PTG)s have their format. Tommy, you being one of the leading PS POGs, I like our debates. The sports examples you used are all objective. Poetry is a much different animal, therefore, it is fallacious to try to force an absolute comparison. Not saying a partial comparison is not valid, it is just that the comparison does not make your position absolutely valid. The Saints being robbed of the NFC championship game is like the 11th great poem not being seen since Premieres only allow 10 placements. Of course, but Soup is certainly not the Super bowl of poetry. The contests are sometimes run by sponsors who do not even know how to spell the name of the form they are promoting, let alone understand the form they are judging. I teach all day and i just want to come here for a good time! There ARE lots of ways to track down some very worthy contests all over the internet! i am just too lazy to do it, and many of them require cash to enroll! There are too many types of personalities here, SOS. It's like getting liberals to vote with conservatives. I probably lean more to liberal side. Soup made a compromise and that's why I say leave well enough alone. Yes, please, Tommy, let's at least rid the world of Super Bowl and World Series. Won't bother me at all. Exactly, Rob! My only issue with standard contests is when they give everyone a first placement. If anyone ever looked at my winners from the past, they should be able to realize my top ten was actually my top three. I would do like one first place winner, three or four second place, and four or five third place. The other placements were my way of showing the poems of poets who made an effort but who were not, in my own opinion, as good as my top winners. I totally get you,greg. I did a Premier contest once, and never will I ever again do a Premiere contest. I believe the Standard Contests do not have to be "substandard" if the sponsor puts only the truly best poems at the top of his winner list but puts the majority of the other winners beneath the top three. This web site is not just about contests, it's about relationships and friendships. I have heard many stories of people hurt by contests (and sometimes the complainers have just cause when the judging is obviously bad or biased.) Also, the only fair way to do a contest is when the judges do not have knowledge of whose poems they are judging(and no matter what people say, it's easy to know whose poem you are probably seeing when you know the style of so many of the poets here).Also, the contestants should not have knowledge of who is judging THEM. People who say otherwise probably are those with very thick skin who do not care what others think about them as a judge. Those who care about personal relationships here cannot very comfortably do premier contests. I am a people- person, and Greg,I believe you are , too. Those who are not afraid to cause displeasure in others are the types who can easily judge a Premiere contest. not me, I'm a big fat chicken. Thank you for your comments and understanding, SOS, I greatly appreciate it ... as I said to Craig, I understand the need for them, but on a personal level, it's not worth it to me. I'd rather be a kind friend than a strict sponsor. Just me. Blessings, Friend. All of that is fine but actually goes against the quote you posted. 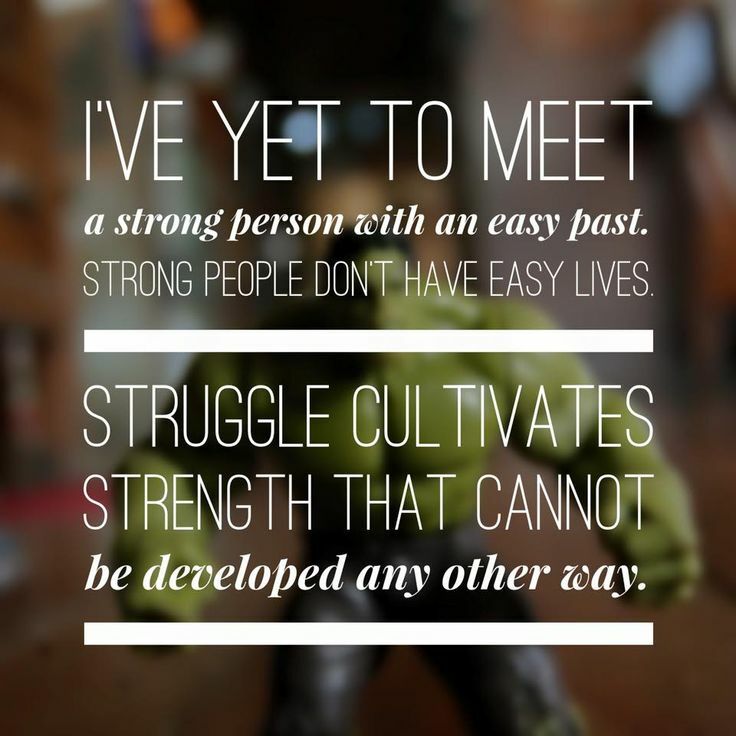 You are correct - "Struggle cultivates strength that cannot be developed any other way" and contests where almost everyone wins diminishes struggle and therefore development. What most contests lack, at least here, is that more difficult road that sets the bar just a little higher. There is no guilt in that. And Craig, I TOTALLY understand that, (which is why I said that I believe there is a place for them), but I personally just don't have the heart for it. I guess some folks are more adaptable (?) or cut out for judging "seriously", and I've found out that I am not one of them. I know how strongly you feel about this and I so respect your perspective, but forgive me, I am too negatively affected by it. (2) Call me a softy or a wimp or whatever, but it's not my cup of tea. Blessings, Bro - maybe down the road. Greg, but it's for all the same reason that I don't sponsor a Premiere Contest. I will get around to reading the winners work.. Congratulations to all the winners. MERRY CHRISTMAS, MY SOUPER FRIENDS! Happy New Year & Thanks, Fellow Soupers!